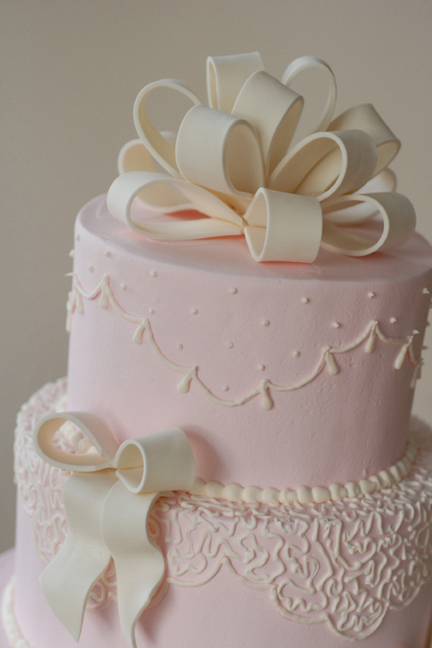 Fondant bows and bow topper is handmade and is edible. Simple and elegant. 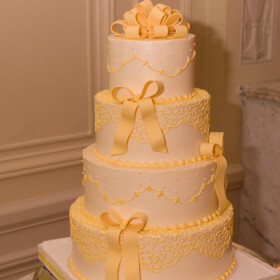 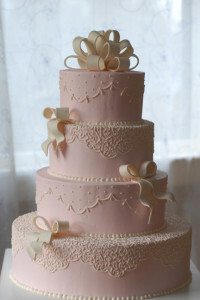 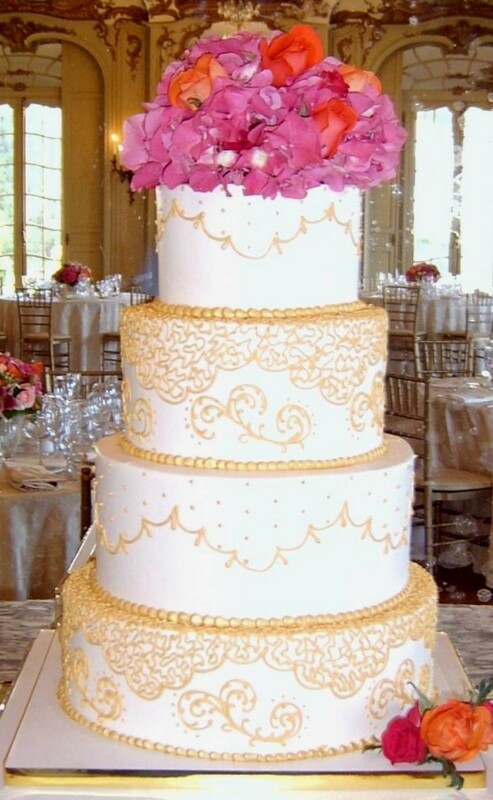 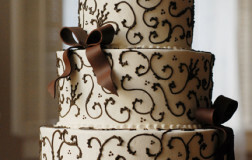 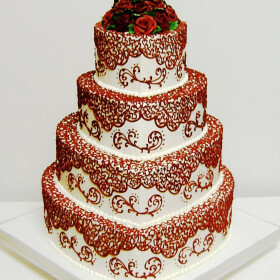 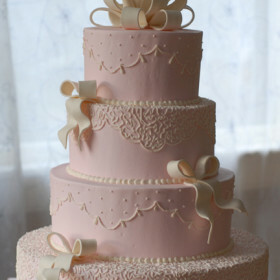 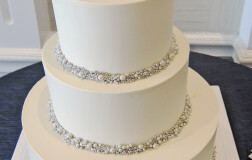 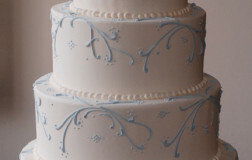 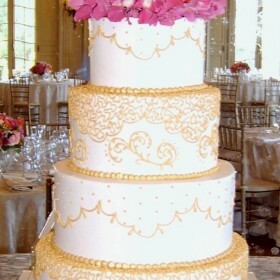 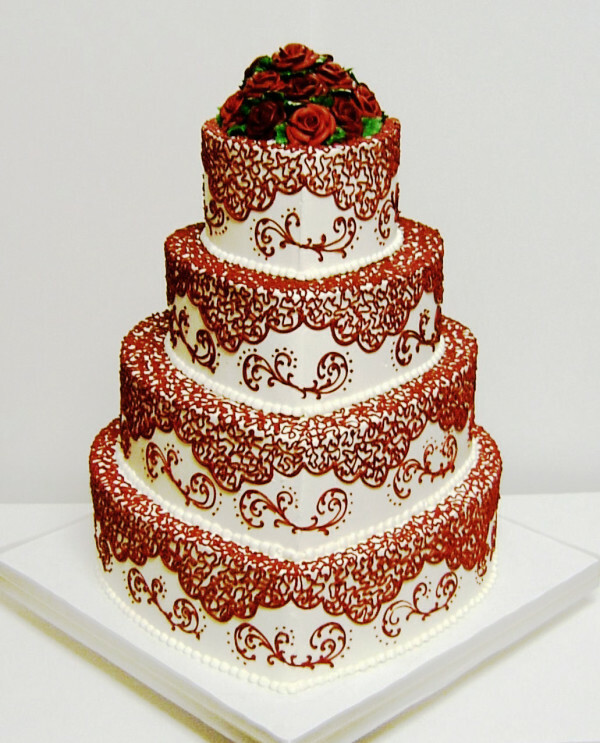 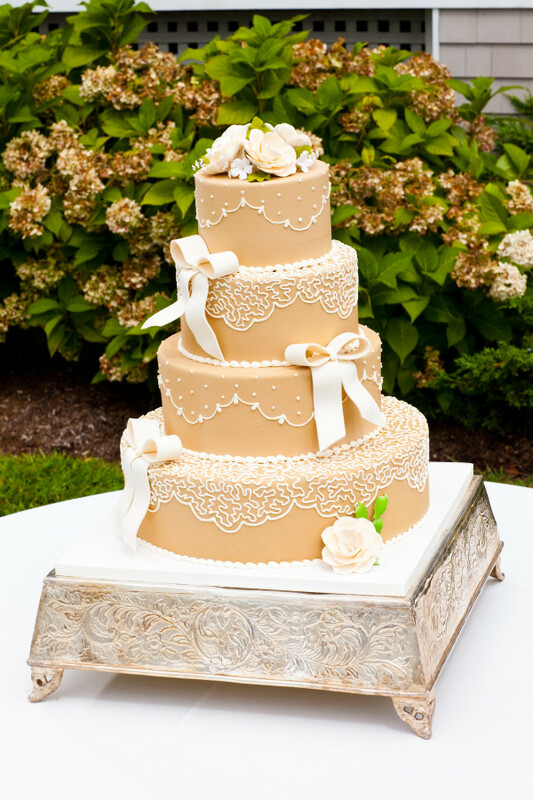 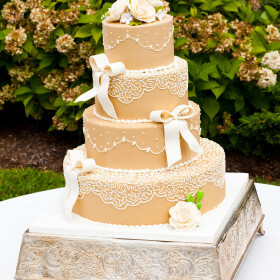 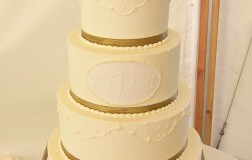 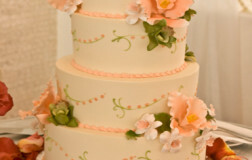 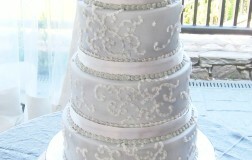 This cake was featured at a wedding held at Belle Me, in Newport, RI. 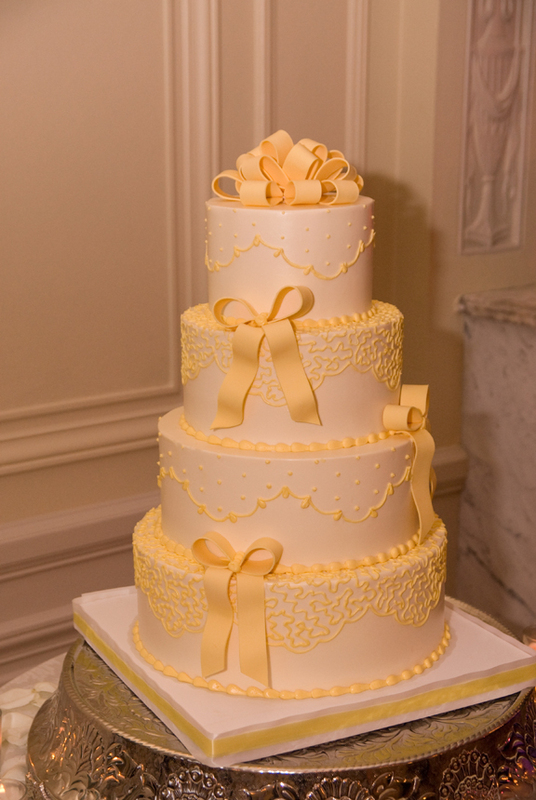 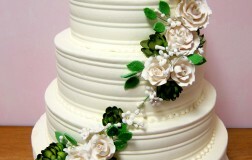 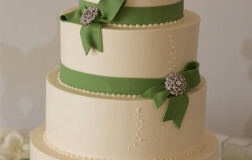 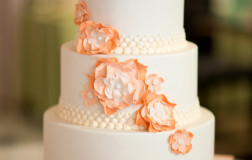 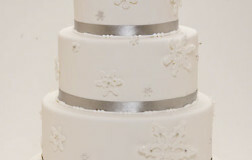 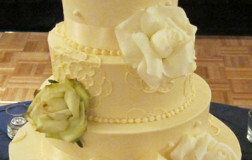 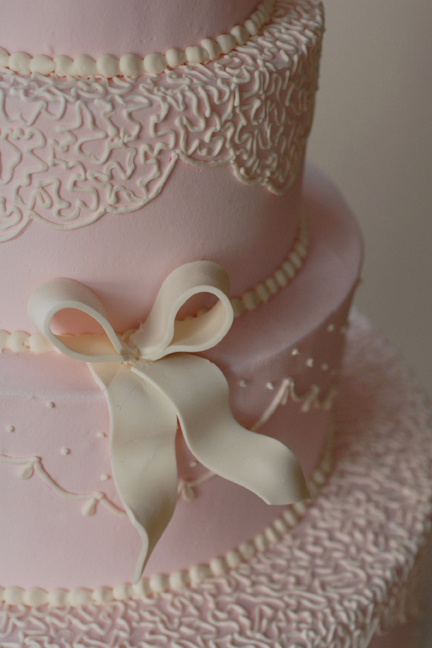 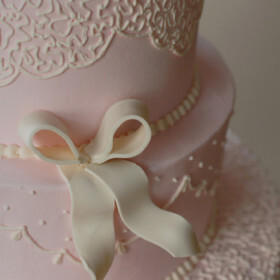 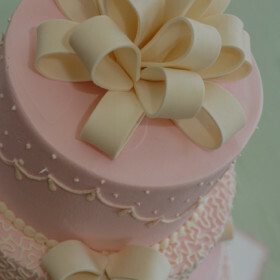 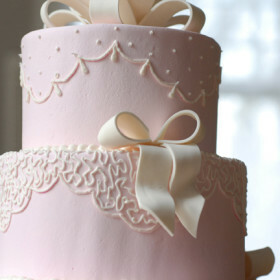 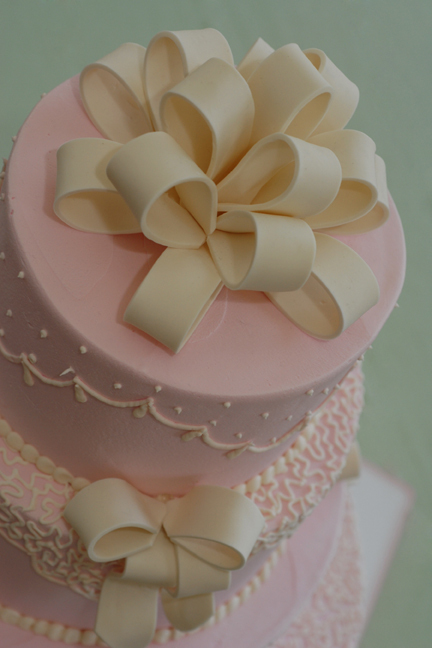 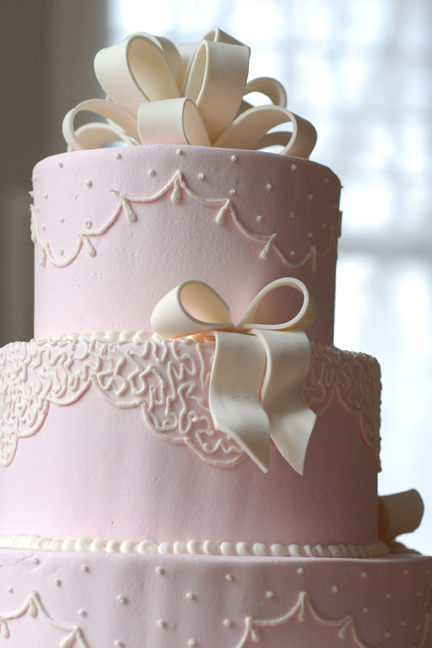 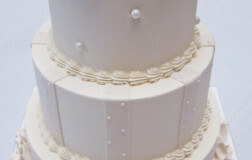 A bow topper is a great alternative to using flowers on your wedding cake. 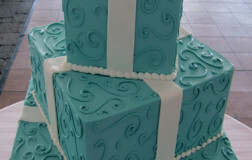 We can customize colors to match your color scheme. 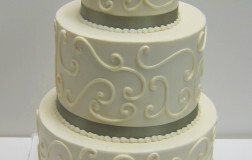 This design is simple yet elegant. 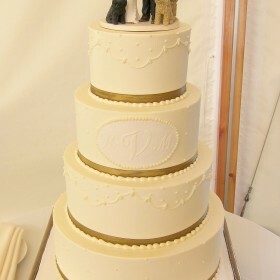 The whimsical, bobble head cake topper adds a fun and personal touch to this wedding cake held at Castle Hill. 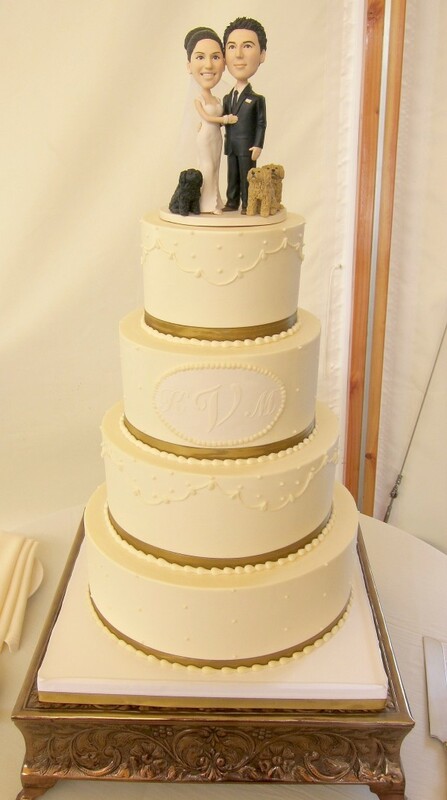 This is a great size for any couple who is planning a smaller, yet intimate wedding. 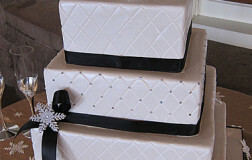 This cake can be made smaller or larger to accommodate any guest size. 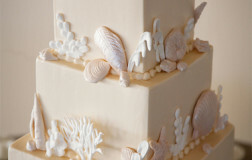 So in love with this nautical wedding cake. 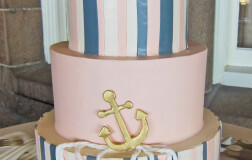 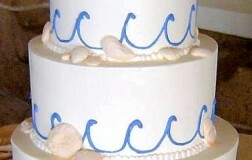 What a sophisticated cake with a touch of nautical feel to it. 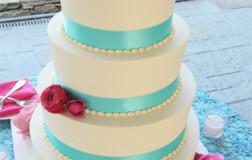 Colors are fun. 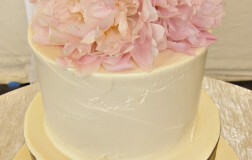 Fresh flowers match it perfectly.